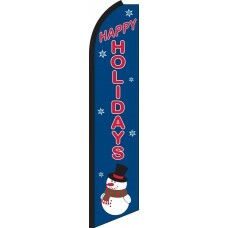 Our Holiday Themed Feather Flags are an ideal way to decorate your business during the holiday season, which is the most important time of year for the majority of businesses. A good Christmas can make or break your year, as it is when consumers are most willing to spend money. Our Festive Feather Flags, have been designed by our team of experts, and will demonstrate that you care about your customers, during the season of goodwill. The flags can also be used to decorate other events, be they sporting, local government related, fairs or private homes, Christmas Markets and Christmas Fairs and will help to spread festive spirit to all that see them. 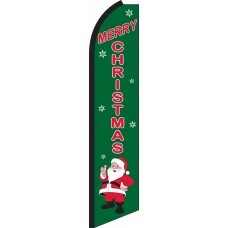 If you are a business, organization or private individual who wants to get people into a festive mood, then these flags are ideal!